In lieu of holiday gifts, the Faculty Association donates to local food banks. The Campus Food Bank and the Calgary Food Bank received a donation of $2,500 each in recognition of the valuable support they provide during the holiday season. WE WISH YOU THE HAPPIEST OF HOLIDAYS AND ALL THE BEST FOR 2019! 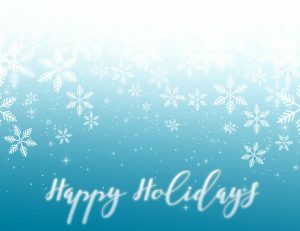 The Faculty Association office will close Friday, December 21 at 11 a.m. for the holiday season and will reopen on Monday, January 7. The Association’s voicemail will be checked regularly on days the University is open. Have a safe and happy holiday! Nominations are being sought for election to the Canadian Association of University Teachers (CAUT) Executive Committee, namely: President, Vice-President, Chair of the Academic Freedom and Tenure Committee, Chair of the Contract Academic Staff Committee, Co-Chair of the Equity Committee (1), Representative-at-large (Quebec), Representative-at-large (Aboriginal), Representative-at-large (Francophone), and Two Representatives-at-large (General). The deadline for nominations is March 1, 2019. Nominations are also being sought for election to positions on five CAUT Standing Committees: Academic Freedom and Tenure Committee (two vacancies); Collective Bargaining and Economic Benefits Committee (three vacancies); Librarians’ and Archivists’ Committee (one vacancy); Equity Committee (three vacancies – 1 member representing Aboriginal Academic Staff; 1 member representing Racialized Academic Staff; and 1 member representing Women Academic Staff); and Contract Academic Staff Committee (2 vacancies – 1 member representing a small-size association and 1 member representing a medium-size association). The deadline for these nominations is February 1, 2019. Those seeking endorsement for their candidacy by the local Association Board of Directors should file their nomination forms with our office no later than January 16, 2019. For further information on any of the above positions, or for a nomination package, please contact the Faculty Association.